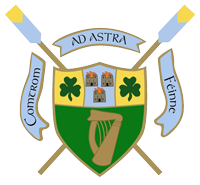 UCD Ad Astra student Paul O’Donovan topped off an outstanding season by winning the LM1x at the 2016 World Championships in Rotterdam, while UCD’s David O’Malley and Shane Mulvaney finished 4th in the U23 LM2- and Shane O’Connell 5th in the U23 LM4x. Paul was imperious throughout the Championships, finishing 1st in all of his races, which began just 10 days after he secured a LM2x Silver medal at the Rio Olympics with his brother Gary. Full results are here. The U23 World Championships were also held over the same week in Rotterdam, with UCD’s young representation impressing in the LM2- and LM4x. Full results are here. It was his last hurrah. Paul O’Donovan is 22, but he is already putting away one of his loves and moving forward with a bigger project. The Olympic boat, the lightweight double sculls, is the future, but first he wanted to walk away from the lightweight single with no regrets. O’Donovan came first in the men’s lightweight sculls final at the World Rowing Championships in Rotterdam. He was cheered on by his brother Gary, who has stopped by Rotterdam on his return from Rio, as well as a large contingent from Skibbereen. He made his customary slow start in Lane Six and was trailing at the 500m mark. Paul O’Donovan kept a promise made to friends in Rio by scorching to a stunning gold medal at the World Rowing Championships in Rotterdam. O’Donovan made his trademark tentative start and was last of the six boats after 500m but when Slovenian Rajko Hrvat burst into the lead the Skibbereen man was quick to follow and he was already second at the halfway point.